Floriday.co.uk - Disney to Deploy Marvel Superheroes in Theme Parks - Florida Holidays, Disney, Universal, SeaWorld - The best of Orlando! Walt Disney Co. is looking to bring some Marvel muscle to Disney theme parks. Disney Chief Executive Bob Iger told shareholders attending the annual meeting Tuesday in Kansas City, Mo., that the company has done preliminary design work that will one day lead to Marvel superheroes appearing in the theme parks along with Disney's other familiar characters. "We haven't announced anything yet," Iger said. "But we're working on some concepts." 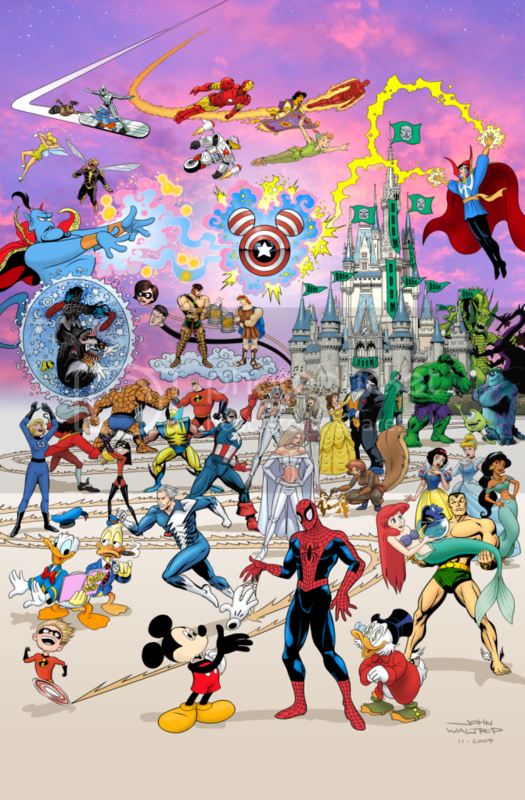 When Disney acquired Marvel Entertainment Inc. for $4.3 billion in 2009, the Burbank entertainment company talked about incorporating the comic book giant's library of 5,000 characters throughout its various businesses. Indeed, a new animated television series, "Ultimate Spider-Man," premieres April 1, kicking off a programming block devoted to Marvel characters on the cable network Disney XD. Marvel's big-screen presentation of "The Avengers" superhero mash-up reaches theaters May 4. Disney showed a trailer to investors at its annual meeting. 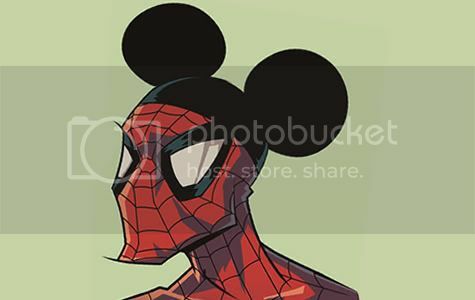 Iger didn't mention which Disney park might get an infusion of spandex-clad heroes. Its competitor, Universal Studios, has the rights in perpetuity for its Marvel Super Hero Island attraction, which includes rides based on Spider-Man, Dr. Doom, the Hulk and Storm, and features a number of other characters from the X-Men. The company also has a 10-year-plus deal for its Spider-Man attraction at Universal Studios Japan. For the near term, Disney is focused on an ambitious theme-park project based on director James Cameron's blockbuster science-fiction fantasy "Avatar." Disney announced a long-term licensing deal last fall to develop rides and attractions based on the 2009 film. The first "Avatar" land is planned for Animal Kingdom at Walt Disney World in Orlando, Fla. Iger told shareholders that the new attraction probably won't open until 2015. Iger also announced an initiative to hire at least 1,000 returning military veterans over the next three years in a program dubbed Heroes Work Here. Disney stockholders re-elected all 10 members of Disney's board, including Iger, who was formally elected chairman. Shareholders also approved the company's executive pay plan in an advisory vote. Amazing Adventures of Spider-Man Now Open!